Out of nowhere - the new free beauty template right here, right for you. Let's call it 'Simple Model Agency'. Our free beauty templates are day-savers for the website owners that are seeking for a design solution for his or her beauty salon site. All and every templates within our set should pass the quality control to make sure it's got valid HTML/CSS and doesn't appear as if it's a web design ghost right out of the nineties. Oh well, now tell me - why bother? Free means inferior quality, right? Are free fashion templates worth your attention? I'm not really boasting, but, truly, most of our free web templates are not only beautiful but also standards compliant, i.e. valid HTML/CSS. Who needs a custom website design? The one who has an adequate amount of money for it. And, definitely, enough time. Since it normally requires plenty of both. Now a small or medium business could go just fine with a web template. Hey, wake up - numerous (in fact, hundreds of thousands) of sites use site templates. Plus you know what? No, they don't really look similar due to there being such thing as customization! A time for bit of proof. Not all of the free website templates have been created equal. In truth, there are some that are of inferior quality or some that came to us from ugly 1990's. However what you find on our web site is a array (see, we picked them, not just grabbed anything we could reach for) of professional superior quality pre-made designs, i.e. high quality free templates. In reality, some of them tend to be a better choice than premium paid-for design templates. That no doubt is determined by who designed the web template. 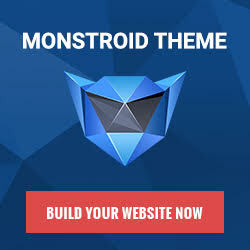 Be it a beginner you will probably find it not that much of a value but there are lots of experienced designers who come up with fre website templates as their hobby projects or perhaps because of pure humanism and desire to make the world a better place. Free doesn't imply poor quality. Have a look yourself - does this lovely web template seem as if its 'bad quality'? I can assure you - it's not bad, on the contrary - it's a sample of one of the best free web designs available out there. We hope that our free beauty template is exactly what you were hoping to find for your beauty salon website.